The most basic of Micronaut, the Time Travller came in a variety of colours and designs. If there was ever a success story for Mego Corporation, it is the Micronauts. Much like G.I. Joe or Barbie, the Micronauts was an in house brand name that Mego developed (with more than a little help from the Japanese toy company Takara) that ultimately became one of their greatest success stories. To understand the history of the line, one needs to go to Japan in the early seventies. Toymake Takara was looking for ways to expand on their very popular "Henshin Cyborg" line, their result was 3" character called Microman. The Microman story was that the Microman characters came to earth via tiny capsules, some of the Micromen became mutated and eventually turned into the evil "Acroyears". Microman was a huge success, however it was also expensive to produce, Takara was in need of a North American partner. Martin Abrams was introduced to the line at an R&D company in California, he immediately had Neal Kublan, Vice President of R&D fly out to see the line. Neal Relates his initial reaction " I walked in there and there was a table with all the Micronauts laid out and I said I think it’s phenomenal, the biggest problem we’re gonna have is convincing the trade that we’re doing all of this and the second problem is we’re going to have to do at least three of four commercials to cover the line"
Evil Antron and the Vile Repto! A deal was struck and Kublan and his team immediately went to work on the Micronauts, while Mego created innovative packaging and commercials, there was almost no backstory for the products letting children create their own. One part building set, another part Space Toy, the Micronauts were a hit with both kids and parents, Mego's early Micronaut commercials seeemed to introduce and explain the concept to not only the kids but Mom and Dad as well. Colour Variants played a big part in the Mego Micronauts Universe. The results were fantastic, the Micronauts were an incredible homerun, Neal Kublan puts it better "The number that keeps sticking in my mind I think was that 32 million dollars was the peak, that was an awful lot when the company is doing $ 110 (million), It accounted for a third of our volume." Mego actually licensed out the Micronauts name to other toy manufacturers as evidenced by these above puzzles. 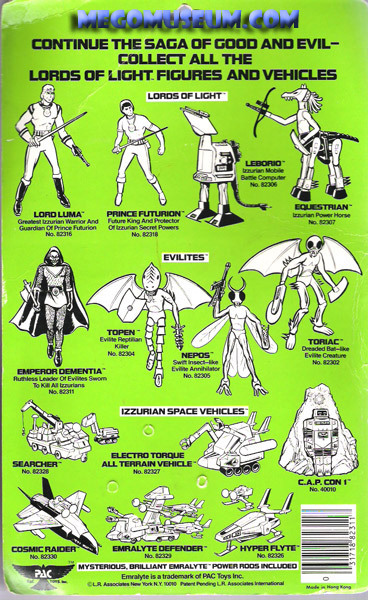 The Micronauts remained with Mego until around 1981, producing many unique toys featured below. 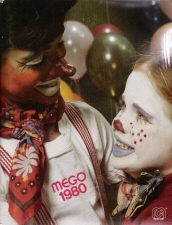 Click on the Covers to see the Micronaut sections of every Mego Catalog from 1977 to 1980. Since Mego's Demise the Micronauts concept has been revamped a startling number of times, which gives credit to the genius of the line. 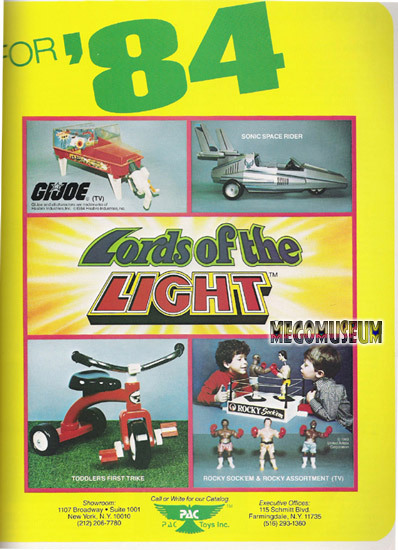 First off, was PAC toys line "The Lords of Light". 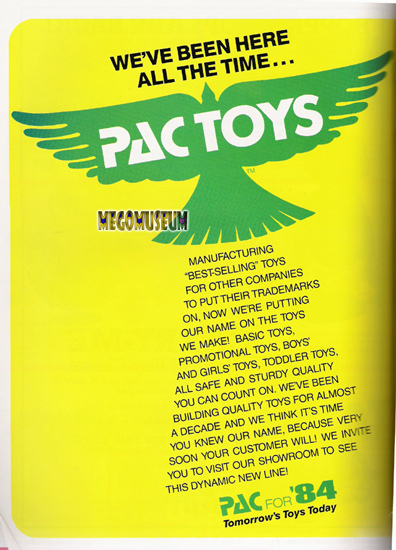 For more information on PAC read the Museums interview with PAC Toys founder Joe Ruzzi . 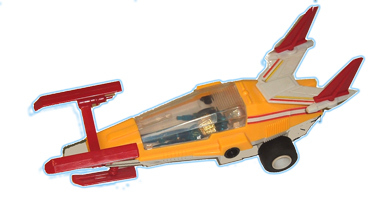 Later, "Hourtoys" produced "The Interchangables" a series of recoloured and renamed Micronauts figures and playsets. More recently, Pallisades toys relaunched the Micronauts as a brand again and Devils Due began a new comic book series. Dave Waugh's beautiful Innerspace Online is a fantastic starting point for anyone to learn more about the micronaut line. Dave's site features pics of every concievable Micronaut piece plus interviews, prototypes and much, much more. Micropolis Embassy is the biggest group of Micronauts collectors on the web, Moderated by Ray Miller, nobody knows more about the Nauts than these people. Bug Eyed Monster is a great site for Micronauts as well as other cool 70's toys like Six Million Dollar Man and Starbird, just to name a few. The Mego Museum Forums have their own Micronauts section, nowhere near as big as the Embassy but hey, if we didn't plug ourselves, who would?.